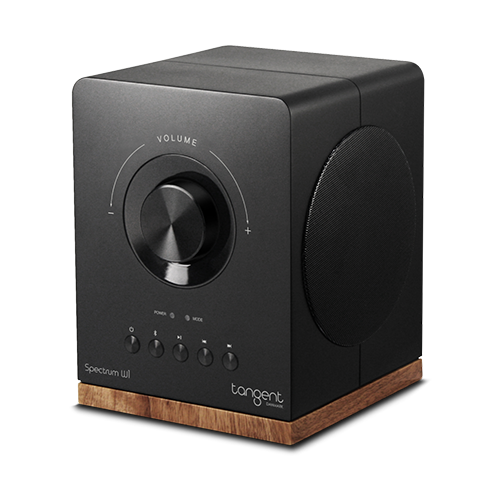 The new Tangent Spectrum W1 features both Bluetooth and Google Chromecast integrated within this stylish and compact speaker, providing the ultimate freedom to stream your favourite music from any portable mobile device. Google Chromecast enables you to stream music wirelessly using your Wi-Fi network and offers higher quality audio than traditional Bluetooth streaming. Set up is easy and without the need of complex installation or troublesome pairing between the speaker and mobile devices. Simply open Spotify, Google Play Music or another music or radio app, tap the Cast button on your mobile device and enjoy your music in crystal clear stereo. During playback, you can control the music selection and volume of the speaker manually or directly from your mobile device. Once the speaker is streaming, you can answer calls on the phone, play a game or move around without interrupting your music. 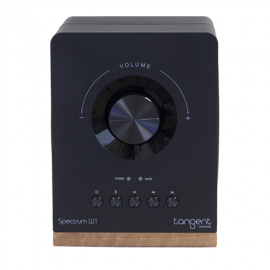 When you can’t access a Wi-Fi network and want to stream music or radio to your Tangent Spectrum W1, simply pair your mobile device with the speaker wirelessly via Bluetooth, or connect the speaker with the cable supplied using the AUX (mini jack) input on the rear panel. 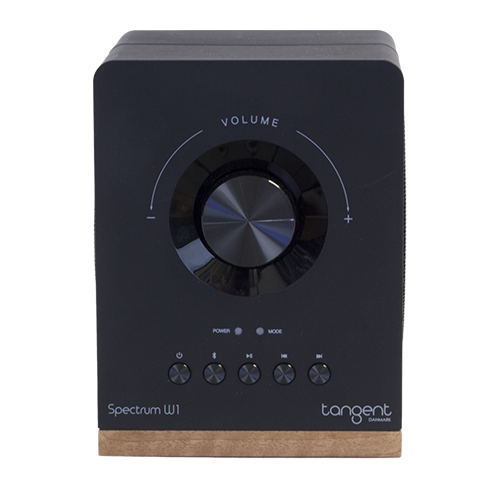 Like the Spectrum DAB, the W1 features twin, full-range drive units housed in each side of the cabinet delivering an incredibly rich and full-bodied stereo sound, 8 pre-set EQ audio settings and the clean and minimalist Scandinavian aesthetic with durable black or white matt finishes with walnut veneer wooden base plinth.